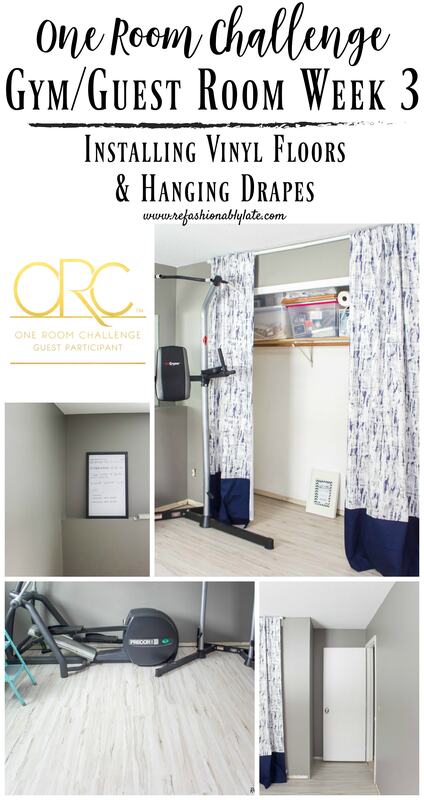 It’s week 3 of the One Room Challenge!!! I typically am not nervous during this challenge but I think my nerves are getting the best of me this time. We actually need to have the room done about a week or so before the final reveal! My husband’s parents are coming to visit us and they need a room to stay in! Ha! We have a lot of work to still do so the pressure is on! I am excited though to put our guest room to good use immediately! We didn’t get to cross off too much of our checklist but the things we did check off were big items! First things first, we installed our new flooring by Allure. 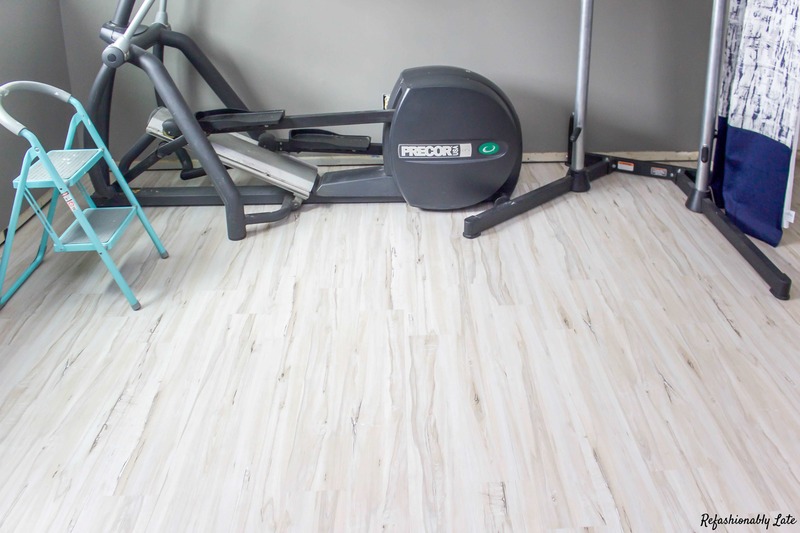 We went with the Allure White Maple Luxury Vinyl Plank Flooring by TrafficMASTER. I absolutely love this flooring. 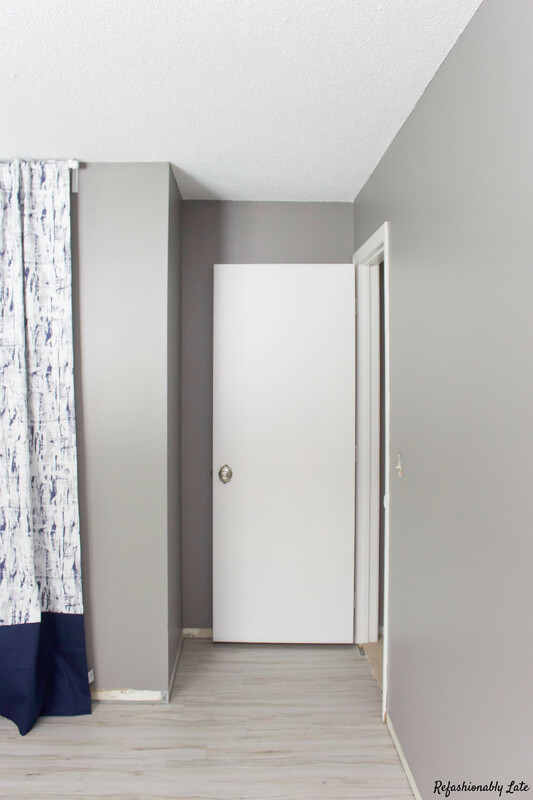 We used the same Grip Strip flooring in our living room for last Fall’s One Room Challenge. 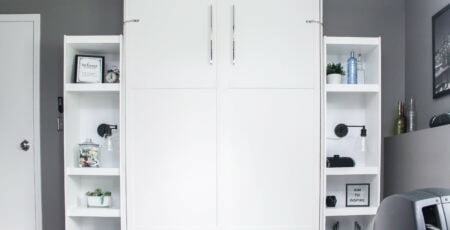 It’s so easy to install and no power tools needed! I did a quick Facebook Live video while we were installing our floors. I love how they turned out and the color is perfect for the room. I’m anxious to get the baseboards in this week/weekend! I think it will help finalize the look a little more. 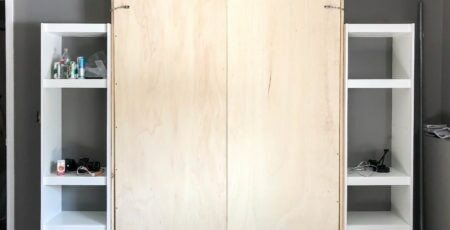 We are also planning on building the Murphy Bed this weekend! I’m so excited to get started! I’ll keep you all updated on that process! The only other thing I was able to do this week was to hang the curtains! 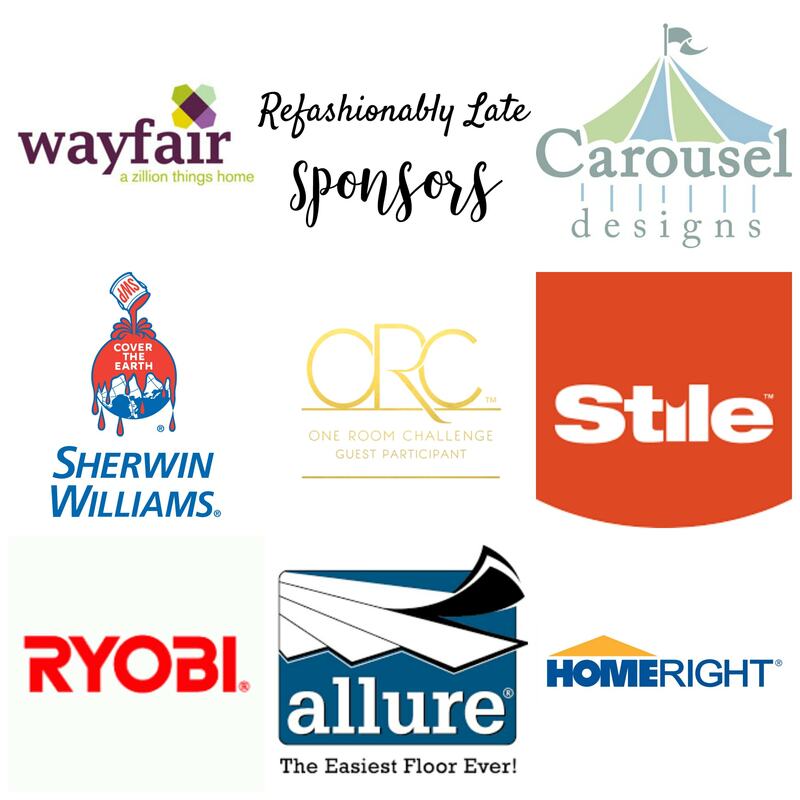 My go-to place for drapes is Carousel Designs. This time I went with the Navy and Taupe Birch Fabric. Their fabrics are stunning and the quality of their drapes are exquisite! 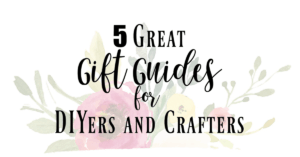 They are beautifully made and the best part is you can design them yourself! You can choose the style of drape you want and if you want to add a band to it. I have done all three versions in the band tab. I love how they have all turned out! 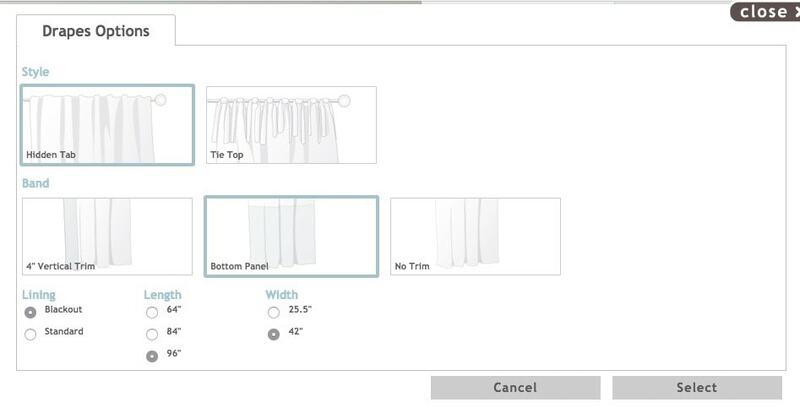 You can then choose whether you want blackout or standard drapes, the length and the width! It’s pretty amazing the possibilities with all the fabrics and styles of drapes you can choose from. The next part is the most fun part. You can play around with fabrics! First, if you want you can click the room tab and change the color of the walls and woodwork. I changed mine to a similar color that I’m using in the room. I then added the Navy & Taupe Birch fabric to the top and then the Solid Navy to the bottom. 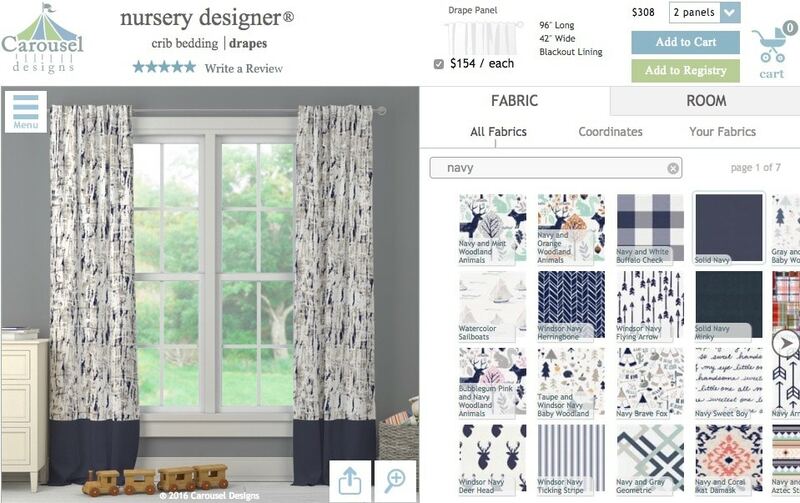 You can also put a fabric on a portion of the drape and then click on the coordinates to find matching fabrics. There may be selections you may not have thought to put together! It’s really fun to play around on this! Well here is where we are with our to do list! Lots left to do!!! Eek! Happy Wednesday! We are supposed to get snow here again today. Hoping it’s not too much. I’m so tired of this weather! Where is Spring?! The flooring looks amazing! I love how bright it is! It really does brighten up the room! 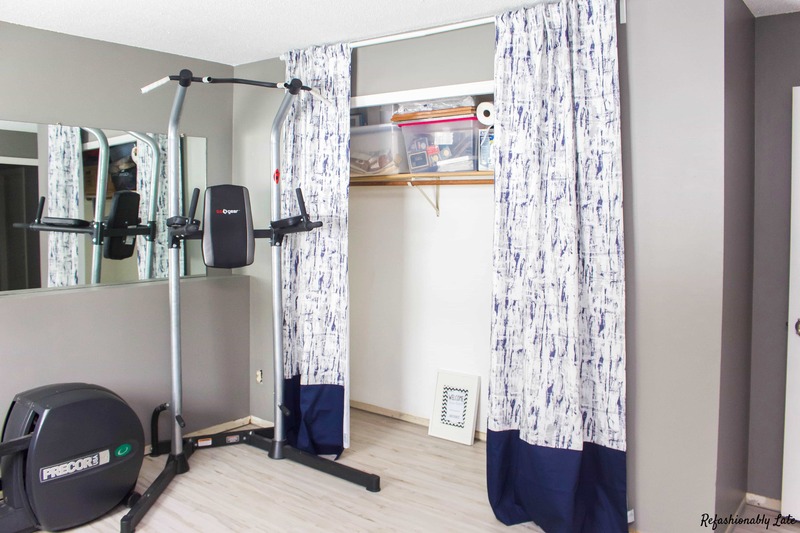 Hum, something like this might be a good option for our main-level room…we need to rip the carpet out and get something affordable and reasonably durable. It’s the room you walk into from the back, so basically impossible to keep the carpet nice. 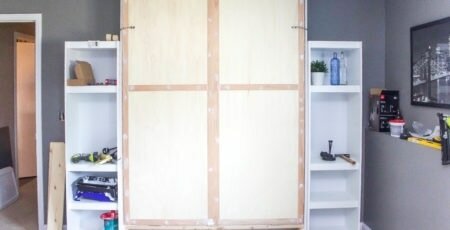 I love your murphy bed you made as well! Can’t wait to see it with the baseboards… and I’m also excited for the murphy bed! Love the flooring you chose! The wall color looks really nice too. How awesome that you’ll have guests using this space very soon! Thanks Tee! I’m excited for the space to get used right away! Ruthie, Your paint job turned out great. (I’ll be using the Paint stick from HomeRight for the first time and I’m so excited to try it.) The new floors are beautiful too. Having a deadline (company coming or a party) really keeps you focused. You are going to love the PaintStick!! Yes, a deadline is good but it’s nerve-racking too! That floor is amazing! And how cool that you could customize your curtains. I am going to have to check this company out! I can’t wait to see this Murphy bed!! Yes, do check them out! I love their drapes! My whole house is full of them! Pretty new drapes – LOVE the pattern! You’re room is coming together so quickly! Thanks, Lindi! I love the pattern too! The new flooring looks great! 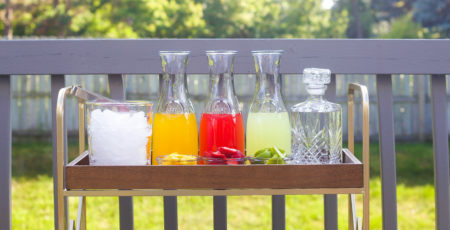 Good luck getting everything done in time for your house guests! Our stomachs knotted up for you when you mentioned company was coming to visit – EEK. that is a lot of pressure. You have accomplished so much already and it looks amazing! Thank you so much, ladies! It was definitely a good motivator! I can see the progress already! Looking forward to seeing the final reveal. Thank you so much, Casey! Glad it’s finally over with!